The 'Wooden Bridge' over the Cam, Queen's College Cambridge. MM Mk1, 28 Elmarit-M Asph v2. This is the Exacta Varex cutter, you unscrew the knob on the camera base which then allows you to pull the cutter down through the film. No, no date, but my breakfast table reading of Laney’s collectors’ guide has it listed on page 358 with other prewar extinction meters. It seems to me that the time slot is the cause: the popularity of the photo is thus not a reflection of the artistic content, but of the fact that heavy LUF-users are liking it. The opinion of ‘slow users’ is thus neglected. I don’t understand why a time slot is necessary, it measures ‘virality’ more than content, I’m inclined to conclude. ----Item located in NEW ZEALAND. Happy to arrange global shipping, but would prefer not to lie to customs agencies.--- Mechanical condition is 100 percent. No operating issues. 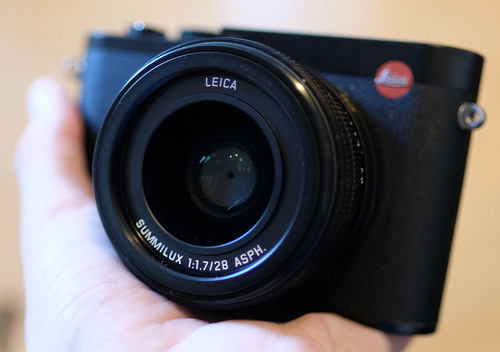 Leica do not reveal shutter count on this camera, but I would guess 13-15k. Optical condition of lens is excellent. Sensor shows no dust. Microphone and speaker ports have always been taped. Viewfinder exterior cover has a few shallow scratches (does not affect clarity of finder). Back screen is very clean. Cosmetic condition is 70-75 percent of original. The main thing is cosmetic damage on the grip (clearly visible, caused my removal of gaffer tape). There is also minor paint wear on the bottom plate and some switches. The camera has never been dropped, bumped, etc. All wear is honest wear from normal use. Selling because I had a card failure recently (in another camera) and won't be taking single-card cameras on assignment anymore. Ships with UV filter, charger, Leica battery. I accept returns solely on the basis of defect, and on the condition that the item is tested by the recipient within 24 hours of receipt and I am immediately notified of the issue. Insurance will be promptly claimed. I'm glad to chat with prospective buyers in detail. I'm a working photographer and value transparency about the sale of second-hand gear, especially when it's pricey. it is so wrong information. They did mine and all fed up now. I see that the Arte Di Mano with battery access door has a thick bottom plate. Is it metal or a really thick piece of leather? I have a Lim case for my Q but find that the metal bottom plate adds quite a bit of weight. I don't think you will have any trouble getting used to the rangefinder provided you aren't trying to track moving objects with focus and trying to keep a shallow depth of field. Remember that you can narrow your aperture and just shoot with hyperlocal settings if you aren't requiring shallow depth of field. I just got my M10 and 50 lux this week and I have to say that the images are just mind-blowing. A lot more impressive, in my opinion, than what I was getting from the Q. Of course, that's also a function of the different focal length and better subject separation. The Q can certainly take marvelous pictures well beyond the capabilities of most of us mere mortal photographers but the shots I'm getting from the M10 + 50 seem more special to me. Good luck with your new camera. Is Herr Brieger's statement clear? Also, he claims there has been a "printing error"... Looks more like proofreading / quality control oversight. I understand Leica's desire to dispense with hard copy manuals ... A cost-saving measure. I just hope that when errors are found, online manuals are corrected. I say "manuals" because of the various languages. I guess Laissez Faire is in this season. Negombo, Sri Lanka 1985 The recent atrocities in Sri Lanka, and specifically in Negombo itself, have brought my mind back to this Kodachrome and to the circumstances surrounding it. I post it along with the following thoughts with my apologies, but I have to express something. Back in 1985 Sue and I stayed in Sri Lanka over a period of six weeks en route to Europe for our first trip there together - a journey that was to last four years altogether. Negombo was the first place we stayed, at a ramshackle joint named the Windmill Hotel. The hotel was sited opposite the beach and this family lived there in the shack you see behind them. We'd often stop and talk with them during the days we were in Negombo and we were always met with the kindness, smiles and warmth that I think is evident in this picture. Sure, I somehow buggered up the exposure, but still. When we left Negombo we gave them the sleeping bags we'd brought with us from Australia. I can't remember why, perhaps they said that they'd been feeling the cold, but I remember they were so thrilled and it made us feel pretty good that we'd been able to do that for them. Sue and I had been married at that stage just two years. Unfortunately, not long later that same year, we heard about a devastating weather event that ripped through that very coast, Negombo in particular. We have no idea how these wonderful, gentle people fared. Now we try, all these years later, to try to understand that human beings could possibly hurt other human beings in such a manner as happened in this very town and elsewhere in Sri Lanka during the past week. There were terrorist acts, too, when we were there. A huge bomb had been timed to go off at a time we ourselves would have been killed had an off-duty policeman not fortuitously investigated a suspicious van outside Le Meridien hotel a couple of hours earlier. What has been learned? When will this brutality end? I can't understand this, but then I think it is beyond comprehension, beyond understanding. My heart goes out to all those who have been touched - in Christchurch, throughout Sri Lanka, in a thousand other places. I feel kind of bad — I've been on the list since before launch and have one just sitting around new in the box. I think I'll sell it - at this point it's not doing me any good. Funny you say that, I mainly trade in the Chinese used Market. China prices are around 15 to 20% higher than Hong Kong. Definitely a demand for (new sensor) M9 with mint condition M9-p going for top price. One client who initially sold his M9 for an M240 for it's faster speed and low ISO performance jumped for an M10 (for the same reason) is looking to re-purchase an M9 for the kodak feel together with his M10. 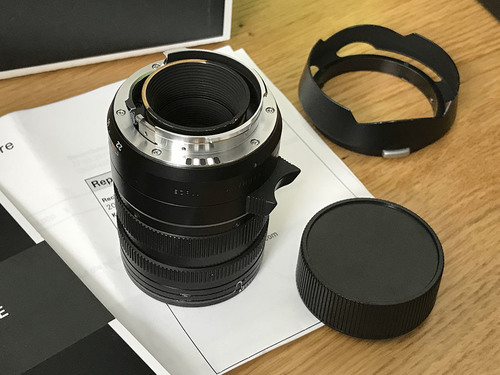 The M10 is known to render old classic glasses too sharp, losing a lot of the characters that made them classic originally, including the 35mm 8 elements this is another reason driving up the demands for M9''s too. Have been using two MP bodies since 2005/06. Once, one of them needed factory calibration. That happened after using a DR Summicron and repeatedly switching between close and far focus positions, a process that involved some force, at least on my copy of the DR Summicron. I wonder how long after the M11 becomes available there will be a wishlist thread for the M12? I suppose it would be counterproductive for me to say I'm enjoying the hell out of the M10 and don't really feel strongly about changing any part of it. But I'll say it anyway.